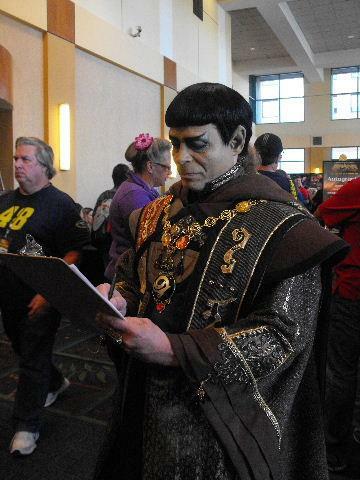 The indefatigable Jan Ausin of the Facebook Back to Barsoom group just finished leading a team of BTBers at a Stark Trek convention in Burbank, CA. I saw Jan posting about this on Facebook and asked her for a writeup which we could post here. Thanks Jan! John Carter & Back To Barsoom Meets The Trekkies!! 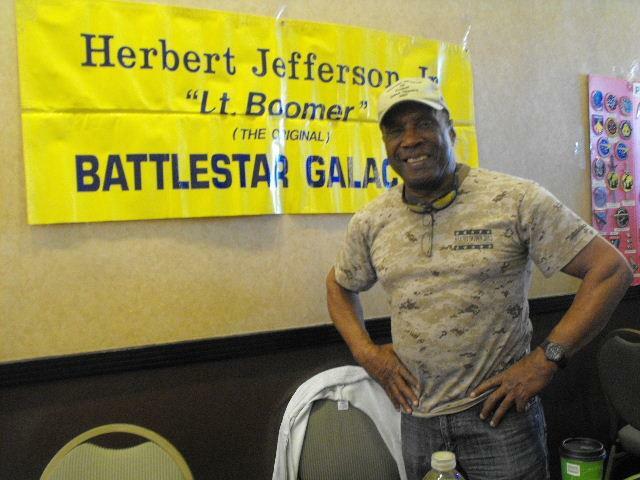 The Back To Barsoom Group had a table this past weekend at the Creation Grand Slam Star Trek Convention in Burbank, Ca, at the Marriott Hotel Convention Center, February 15th-17th. 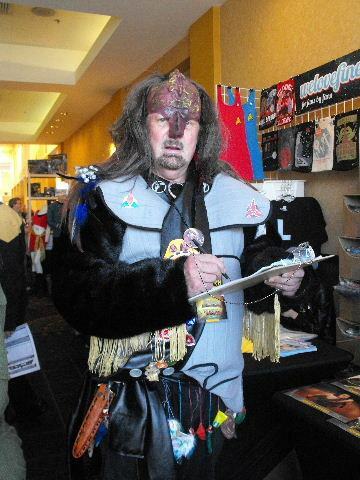 It may not have been Star Treks largest convention but what a convention it was! 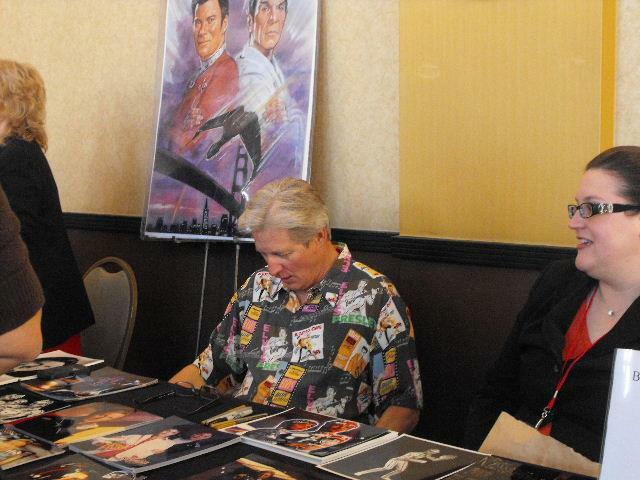 Fans, vendors, stars and cast members from Star Trek were there. Sir Patrick Stewart, LeVar Burton, Rod Roddenberry, Catherine Hicks, Jonathan Frakes, Brent Spiner, Gates McFadden, Marina Sirtis (all from Star Trek) and many more. 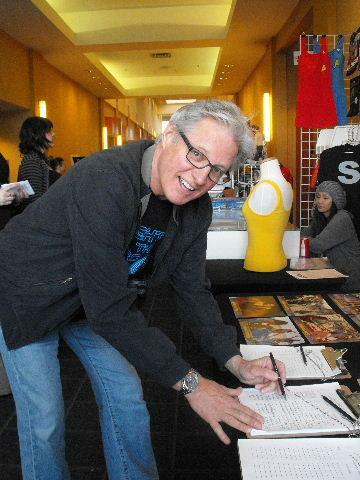 It was also a pleasure to see our friend Bruce Boxleitner there (from Tron) who is a huge John Carter and Back To Barsoom supporter! We even had a visit from Andrew Stanton’s Wall-E! 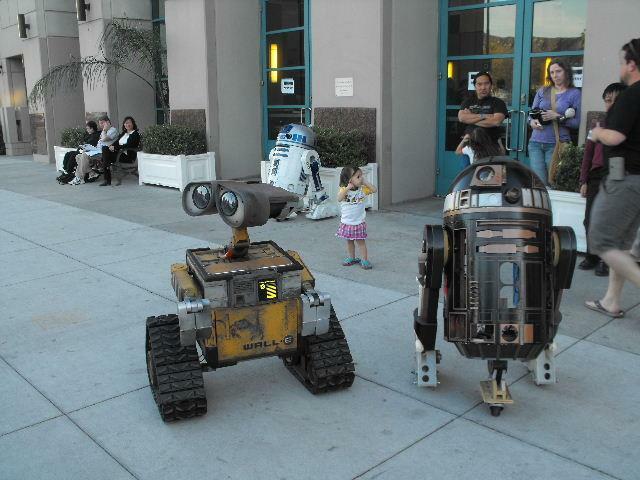 A replica, but fantastic to see Wall-E there! For a ‘small’ convention (so they say) it was pretty huge to me! 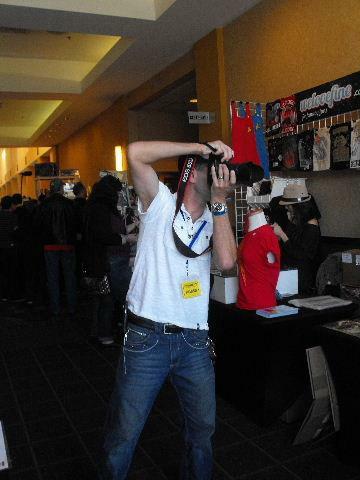 I should start off by saying that this was really the first Con of this sort I have attended. So I didn’t really know what to expect with all of the Trekkie fans and was a bit scared at first. I was hoping they would be sympathetic to our ‘cause’ as they too rallied together back in the ‘60’s to bring Star Trek back to television and then later campaigned for the first Star Trek film. My first table with the Back To Barsoom group was actually last August, 2012, at the Edgar Rice Burroughs Dum Dum Centennial, in Woodland Hills. A fabulous 4 days where I met the most wonderful people anyone could ever meet. 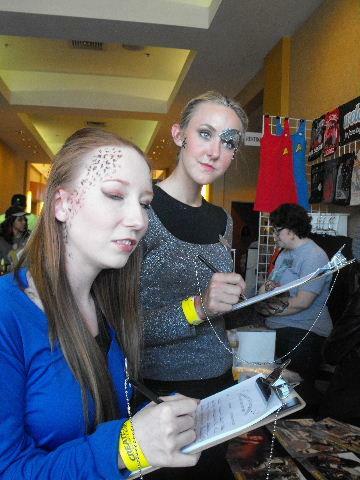 But, they were all ERB fans, John Carter fans, and I was surrounded by many of our Back To Barsoom group members. So I felt very comfortable and knew what to expect. This was different. 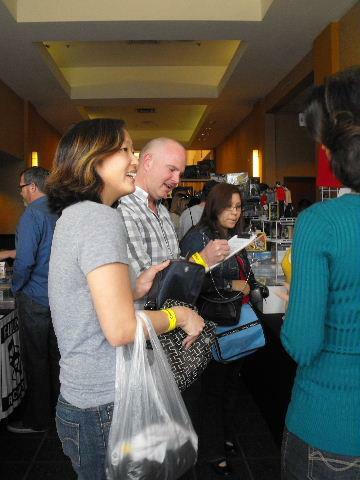 When I began setting up our table that first morning on Friday, I looked up and down the hallways at all the vendors. 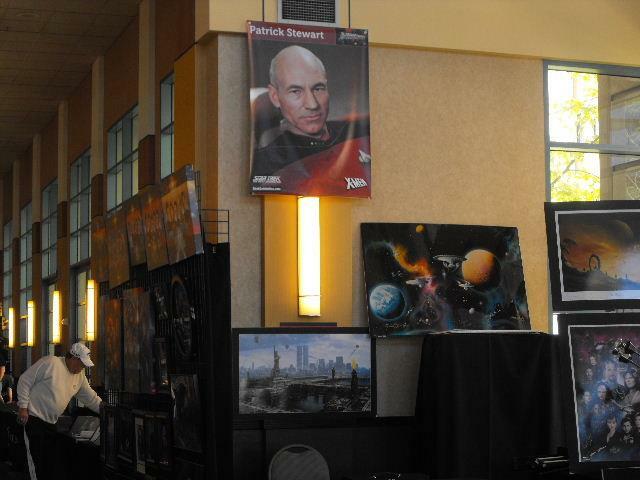 Each and every one of them were displaying and selling Star Trek merchandise, memorabilia, pictures, posters, t-shirts, music, you name it! Here I was the only non-Star Trek table and putting up on display our John Carter poster signed by Taylor Kitsch, our Back To Barsoom fan-art from our group members, movie stills, flyers, and our John Carter Petition sheets and clipboards. The only thing we were trying or hoping to ‘sell’ was info about John Carter and a sequel that we desperately want. EEK! I thought this could be good, this could be bad! Well, it wasn’t more than a few seconds as I was putting things on display that ‘vendors’ began to come over. They were coming over to tell me how much they loved the film John Carter! When the public was let in on Friday, and as Friday turned in to Saturday, and Saturday in to Sunday, it turns out we didn’t have to do such a ‘selling’ job afterall. It was amazing and so very wonderful, and even a bit over-whelming at times, to find out just how many people out there loved the film, are just as passionate about this film as we are and want to see a John Carter sequel as much as we do. 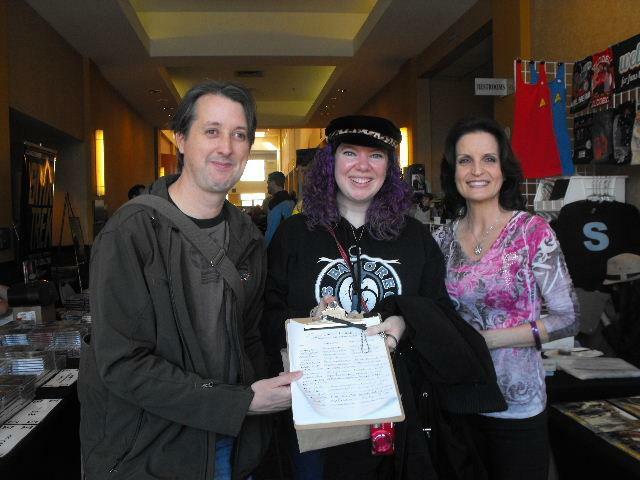 We even had fans looking for us – “We hear there is a Petition to sign for John Carter. Where do I sign?” It was also very over-whelming at times when we asked someone if they would sign the Petition for a John Carter Sequel and not only said “YES” but before we could get another word out they beat us to the punch ….. “What happenend to the marketing,” “Why did they drop the Mars from the title?”, “Why wasn’t ERB ever mentioned in the PR?”, “Why do the critics compare it to Star Wars when Star Wars took it from ERB,” “Unfortunately I listened to the critics, now I’m sorry I didn’t see it on the big screen”. Everything we have been talking about in our group for nearly the past year! These were people who knew nothing about our Back To Barsoom group and that there was even a campaign for the sequel. Yet nearly each and every one of them mentioned something that we have been talking about for months. Including merchandising. It was absolutely amazing. Many became very excited and very impressed to find out that we existed, that we are pushing for the sequel, and now want to help our ‘cause’ and help keep John Carter alive. 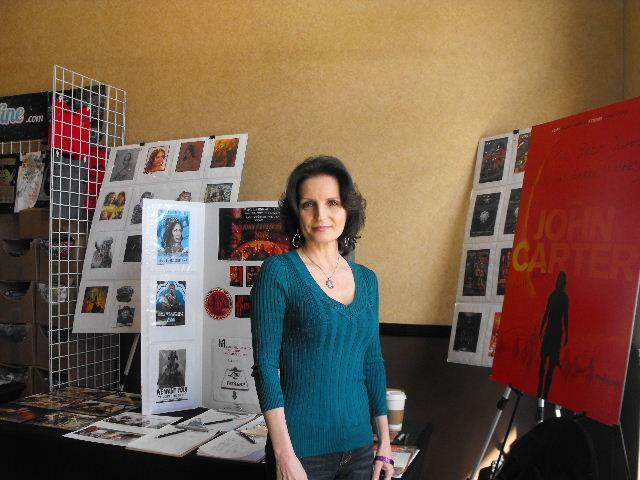 And, they all loved meeting our Evelyn Dubuc from John Carter, were very impressed that she was there. Lots of photos and even autographs were asked of Evelyn. FoxNews filmed our display and many industry people talked to us about our campaign! It ended up being a blast and we had a wonderful time meeting all the JC fans! 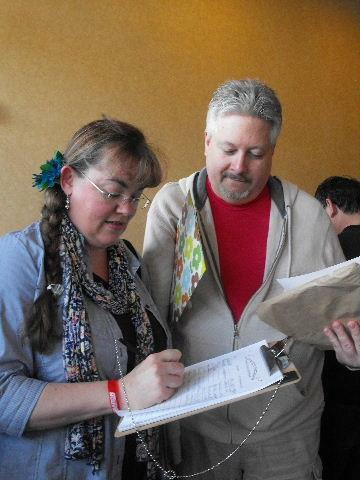 We left the convention with 531 signatures. Which we thought was extremely well done for a small convention such as this one. But we also left knowing that if 531 fans loved John Carter and want a sequel from this convention, then just imagine all of the other bigger cons around the country and the thousands and thousands (if not millions!) of John Carter fans who also don’t know we exist, who are out there and also want that sequel as much as we do. After the reception we received for John Carter at this convention, if I wasn’t a mad-woman on a John Carter campaign trail before, this certainly has spurred me on to continue this fight! The fans are out there Disney!! And they all want John Carter to continue! A HUGE HUGE thank you first of all goes out to our group member Patrick Malloy for helping me at the con on Friday the 15th. Patrick, you are the BEST!! I couldn’t have gotten through that first afternoon without you! And then of course our Council Member #4 from John Carter, Evelyn Dubuc who was there with me on Saturday & Sunday! Evelyn was absolutely a pleasure, fans loved her, and it was fantastic to have her there! Evelyn was amazing and able to turn around a few people. She has a way of doing that! I loved JOHN CARTER and thought that it should have done better. i am also a huge fan of the ERB inspired character ERIC JOHN STARK. There is a pitch prepared for a 1 hour episodic television series that will rival GAME OF THRONES if properly produced. Please get back to me about ERIC JOHN STARK, He was created by LEIGH BRACKETT, the writer of THE EMPIRE STRIKES BACK. i have signed the JOHN CARTER petition and will help in any way that I can. Way to go, Jan, Evelyn, and crew! Thanks for all of your dedication and hard work. Back to Barsoom! Jan, I thought about you all weekend and I am so glad it worked out. 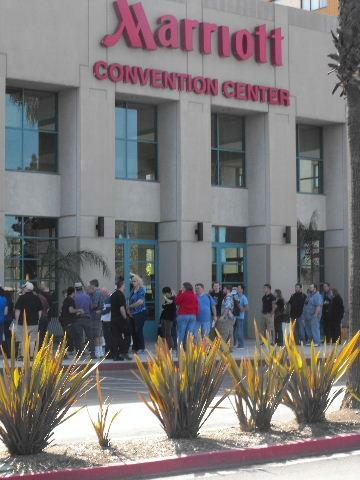 Having worked at Comic Con San Diego, these events are worth it. I am sorry I couldn’t make the drive up to LA. 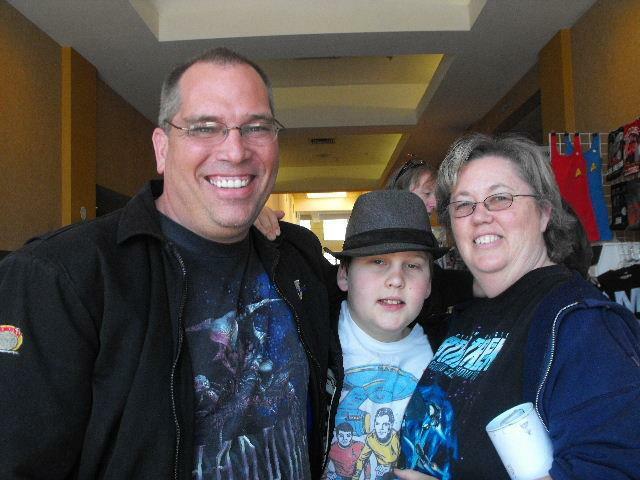 But I wore my “take Me Back to Barsoom shirt designed by our member Robert Jensen to the mall in a show of solidarity. And lo and behold I had 2 people come up to me and ask me about my shirt and tell me of their love for John Carter. I handed out the business card. Hopefully they will follow through and join the group and sign the petition. This is so great, if trekkies help us the fight may succeed. Thanks for all you do. Great report. As a fan of both Star Trek (classic and Next Generation) and ERB, I can see a common element in the fandoms: utopia. Just the urge of being out there with those wonderful, decent, human characters, and play with the great toys to make our world an even better place than it already is, in a triumph of positive emotions. That’s not as common as one would think, and that comment includes unfortunately more modern iterations of Star Trek, that let the door open to some sort of (to me) out-of-place cynicism. And so the quest continues. Great report of the event Jan!